Dr. Fereydoon Mahjouri provides patients throughout the Minneapolis Metropolitan area with cosmetic surgery and skincare options. His approach to treating patients emphasizes a personal touch and caters to individual concerns. Mahjouri Cosmetic Surgery & Skincare Clinic adheres to these principles to serve patients in Fridley, Minneapolis, Anoka, and the surrounding communities with precise and quality aesthetic procedures. Dr. Mahjouri, who specializes in plastic, reconstructive, and cosmetic surgery, has been in private practice over 25 years and has extensive experience in providing the highest quality of care in Minneapolis / St. Paul and its surrounding areas. After completing his internship and surgical residency at Cook County Hospital and Loyola University in Chicago, Dr. Mahjouri received certification from the American Board of Plastic Surgery as well as the prestigious Certificate of Advanced Education in Cosmetic Surgery from the American Society for Aesthetic Plastic Surgery. A long-standing resident of Minneapolis, Dr. Mahjouri has been featured in the local media for his expertise in plastic surgery and has been published in the nation's leading medical journals. He is also an expert contributor in a plastic surgery book entitled Be Your Best: A Comprehensive Guide to Aesthetic Plastic Surgery, which was published in January 2007. Dr. Mahjouri's surgical skills, trustworthiness, knowledge, and experience have earned him a solid, lasting reputation in Minneapolis / St.Paul and its surrounding areas. 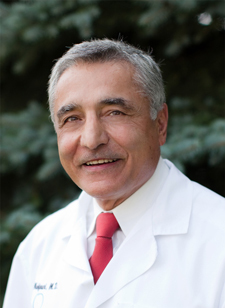 Dr. Mahjouri was elected and has served as President of the Minnesota Society of Plastic Surgeons. He is a fellow of the American College of Surgeons and is an active member of several distinguished surgical associations including the American Society of Plastic Surgeons, American Society for Aesthetic Plastic Surgery, American Association for Hand Surgery, and the Minnesota Society for Plastic Surgeons. His affiliations with surgical centers and hospitals include West Health Surgery Center, Unity Hospital, Mercy Hospital, North Memorial Medical Center, Fairview Southdale Hospital, and Abbott Northwestern Hospital. He introduced microvascular surgery to Minneapolis and was among the first few surgeons who performed re-plantation surgeries in the Twin Cities. Dr. Mahjouri has performed several charitable reconstructive surgeries in developing countries and his volunteerism has been recognized by the American Society for Aesthetic Plastic Surgery. Dr. Mahjouri is considered a world-class wilderness skier and has skied the first descent from the infamous Fox Glacier in New Zealand in 1990, and was a pioneer in helicopter skiing in Greenland. Most Recently, Dr. Mahjouri skied the first descent from the majestic Dourgah Peak (nearly 16,000 feet) in the Himalayas as well as pioneered a SKI SAFARI in Mount Waddington, the highest peak in the West Coast of British Columbia. Dr. Mahjouri has been living in Minneapolis for 25 years with his wife, who is the director of Cosmetic Skin Care Clinic. In his free time, Dr. Mahjouri enjoys being outdoors and has traveled around the world with his wife and two children. When he’s not on the ski slopes, Dr. Mahjouri enjoys playing tennis, golf, swimming, cycling, hiking, yoga, and practicing wellness on a daily basis. Expert Contributor in a plastic surgery book( Be Your Best: A Comprehensive Guide to Aesthetic Plastic Surgery) published in January 2007. Contributes to the following areas: Abdominoplasty, Breast Augmentation, Breast Reduction, Arm Lift, Body Contouring, and Otoplasty. Featured in print, radio, and TV media for pioneering filler injections, state-of-the-art techniques in plastic surgery, and innovations in reconstructive surgery in Minneapolis. Cancer Research Further Study of the Malignant Cells in the Circulatory Peripheral Blood, 1967. 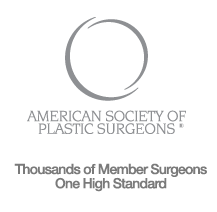 Minoplasty, Breast Augmentation, Breast Reduction, Arm Lift, Body Contouring, and Otoplasty chapters. Dr. Mahjouri and his staff form a special connection with patients, helping them feel at ease with the highest level of care. Our Fridley cosmetic surgeon provides state-of-the-art treatment by taking the time to educate our patients on specific procedures. This enables patients to better understand the details of a breast lift , tummy tuck, or other procedure they may desire. Our patients work with Dr. Mahjouri directly to create a cosmetic treatment plan that fits their particular needs. Dr. Mahjouri personally calls his patients after every procedure to make sure they are recovering comfortably. Our cosmetic surgeon’s decades of experience provides him with extensive knowledge of modern and effective procedures. Whether you're interested in breast augmentation over and under the muscle, whether silicone or saline is a better choice for you, or if you’re curious about different types of liposuction and how they can be combined with other procedures to target specific areas of the body. Dr. Mahjouri has the professional knowledge and commitment to excellence to answer all questions and to create the ideal treatment plan for you. He is one of the pioneers in liposuction and one of the few plastic surgeons who is an expert in ultrasonic liposuction The qualifications and experience of your cosmetic surgeon are vital to meeting your unique needs; Dr. Mahjouri is one of the most sought-after and skilled cosmetic surgeons in the Minneapolis metropolitan area. Contact our office to receive a free consultation. Dr. Mahjouri Advanced Cosmetic Surgery & Skincare Clinic provides consultation to patients from Fridley, Minneapolis, Anoka, and the surrounding communities. For more information, or to schedule a consultation, call our office today! Our office maintains a flexible approach to scheduling consultations and cosmetic surgery to best suit the needs of our patients.